The State of Connecticut passed a law that prevented insurance adjusters from telling broken auto glass customers where to repair their glass. The Court of Appeals holds that this law violates the First Amendment. The case is Safelite Group v. Jepsen, decided on September 4. 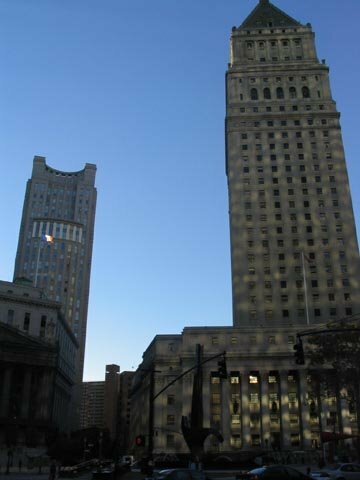 The plaintiffs are an insurance claims management company and its affiliate, which operates an auto-glass repair and replacement business in Connecticut. Safelite recommends its affiliate for the repair jobs. This was improper under Connecticut law. The Second Circuit (Winter, Walker and Cabranes) says this law is improper under the First Amendment. The national dialogue has focused on the First Amendment rights of corporations to give money to political candidates. But corporate speech rights are not a new concept. The Supreme Court has held that corporations have some rights to speak in the non-political context. "Commercial speech that is not false or deceptive and does not concern unlawful activities ... may be restricted only through means that directly advance that interest." In other words, the government needs a good reason to prohibit honest commercial speech. There is some confusion about the standard of review in cases like this, and a case can be made that the government can win if it advances a rational basis (or any reason at all) for the restriction. After some analysis, the Second Circuit, though, says intermediate-level review applies because this case involves speech that "compels speech that goes beyond the speaker's own product or service." This case does not involve the government's efforts to restrict dishonest speech. Instead, the challenged law requires companies to either stay silent or to give a free advertisement to a competitor who might fix the auto glass. The state's justification for this law -- "protecting consumer choice, preventing steering, and combating the undue influence of self-interested insurance claims adjusters" -- is not good enough to save the law. This justification seems post hoc to the Court of Appeals, and upon careful scrutiny it does not appear that the law would save customers any money since insurance companies pay everything over a deductible. The Second Circuit therefore orders the district court to enter a preliminary injunction against enforcement of the law.